The Alutiiq people are the indigenous people of the Kodiak Island Archipelago. They have inhabited their traditional lands for more than 7,500 years. Afognak Native Corporation represents over 1,000 Native Shareholders, who are descended specifically from the Village of Afognak, on Afognak Island, in the northern part of the Archipelago. Afognak Native Corporation’s wholly owned subsidiary, Alutiiq, LLC, is named after the Alutiiq people. The Kodiak Archipelago is located 252 air miles south of Anchorage in the Gulf of Alaska. Kodiak is a temperate rain forest with a mild climate. Afognak Island, the Shareholders’ traditional home, is the second largest island of the Archipelago. The Alutiiq people traditionally carved petroglyphs into rocks all over the Kodiak Archipelago. These petroglyphs are the oldest representations of the Alutiiq culture and some of them have become the company logos of Afognak Native Corporation and Alutiiq, LLC. The Alutiiq people have typically been defined by their connection to land and sea. Traditionally, the Alutiiq people lived in villages. The houses, called ciqlluaq, were sod-covered structures built partially underground. Each person held a position within the community and was responsible for some aspect of life, be it hunting, fishing, cooking, sewing or gathering. Everyone was important and had a role in the village’s survival. Traditionally the Alutiiq people’s primary food sources were marine mammals, fish, and migratory birds. These were hunted from kayaks with atlatls (throwing boards) and spears or fishing hooks. Subsistence activities were, and continue to be, the fundamental foundation of their culture. At the time of pre-contact, the Alutiiq people’s population was between 15,000 and 18,500. After 50 years of resistance, survivors gathered at “Refuge Rock” where, in August of 1784, a Russian fur trader and his men claimed Kodiak as the capital of Russian America. In Alutiiq, Refuge Rock is known as Awa’uq (to become numb). The final battle at Refuge Rock represents a dramatic change in the lives of the Alutiiq people, the loss of their sovereignty and lands under Russian subjugation. During Russian control of the Kodiak Archipelago, Alutiiq people were forced to hunt and prepare food for Russian use. In 1867, the United States purchased Alaska for $0.02 an acre from Russia. However, Alaska Native people were not allowed to vote until the Indian Citizenship Act of 1924, and it was not until January 3, 1959 that President Eisenhower signed the proclamation admitting Alaska as the forty-ninth state. On March 27, 1964, one of the largest natural disasters in U.S. history, the “Good Friday” earthquake and tsunami, destroyed the Alutiiq people’s traditional home of Afognak. Following the destruction of their village, many chose to relocate and build a new village on Kodiak Island. Their new village was named Port Lions after the philanthropic Kodiak Island Lions Club that helped build their community. Some of their people chose to move to the City of Kodiak, other parts of Alaska or the Lower 48 states in lieu of Port Lions. Today the Ag’uanermiut (People of Afognak) live in Port Lions, other parts of Alaska, the Lower 48 states, and other countries, but their ties to their traditional lands, language, subsistence way of life, and the Alutiiq culture are great. Their traditions are passed onto new generations through a number of innovative programs and initiatives. 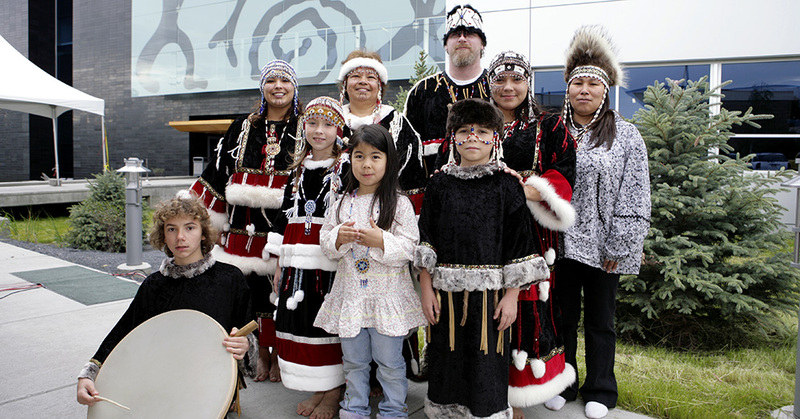 Learn more about current cultural programs supported by Afognak Native Corporation.